Versatile & Sleek. Choose from a range of widths. 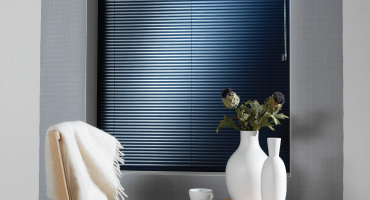 Venetian blinds are a practical choice of blind for your home and offer a comprehensive range of colours and fabrics to suit any room. They can be rotated 180 degrees to allow the user complete control of the light levels within your home. They can also be completely drawn to the side, allowing an unobstructed view. 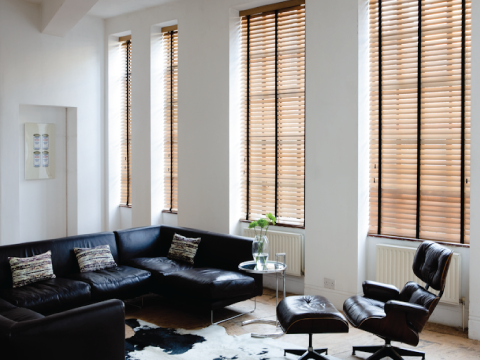 These modern and stylish venetian blinds come in a fantastic wooden and aluminium range and are made to measure to meet our customers requirements. 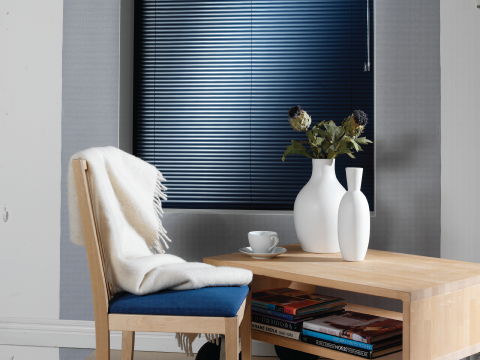 The current venetian blind slat sizes we offer are 25mm, 35mm & 50mm. 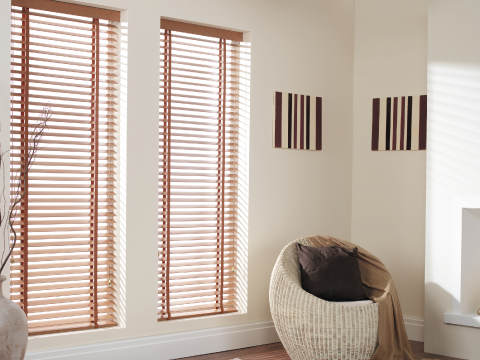 Our Aluminium range of venetian blinds come in three different slat widths of; 25mm, 35mm and 50mm. 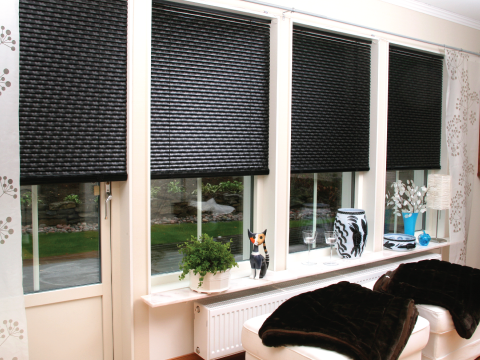 These blinds are great for controlling light levels, making them ideal for in the home or the office. 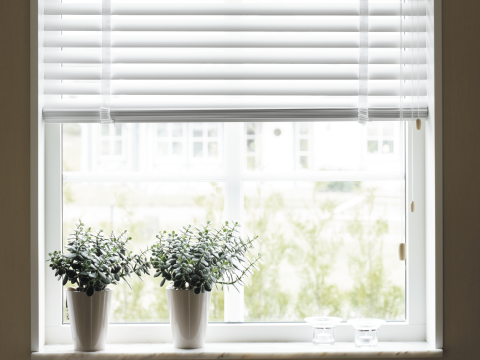 Our Wooden venetian blinds come with pelmets, tapes or cords and are available in three different slat widths of; 25mm, 35mm and 50mm. 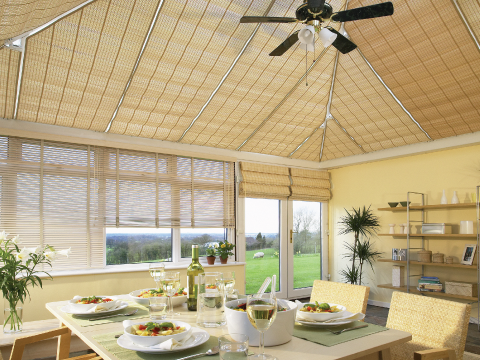 These wooden blinds give a feeling of warmth to any room. 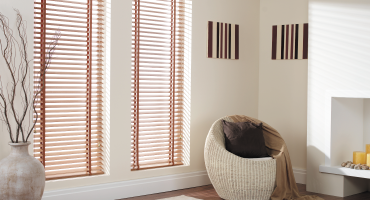 Our INTU Venetian blinds are an outstanding choice when it comes to easy installation...but just to be sure we also offer a Home Service across Nottinghamshire which means you can sit back and relax and let us handle the measuring & fitting.